At the time of writing, tattered copies of these 2 EPs (along with an admittedly sought after single from 'Apradh') are up for grabs on eBay. Starting bid? A measly US$320. 2 MEGA RARE RAHUL DEV BURMAN SOUNDTRACKS! 8 PRE-RECORDED SONGS VALUED AT US$32 (MIN.) EACH! And take them you should, as both 'Raton Ka Raja' and 'Ehsan' are excellent, and as the latter includes the coolest version of 'Pata Pata' ever made. I paid around US$10-15 each for mine incidentally, on eBay. PC, I've been meaning to let you know for about a year now how awesome you are. I know life can get really crazy and I speak for everyone when I say: thanks for taking the time to put up this great music. 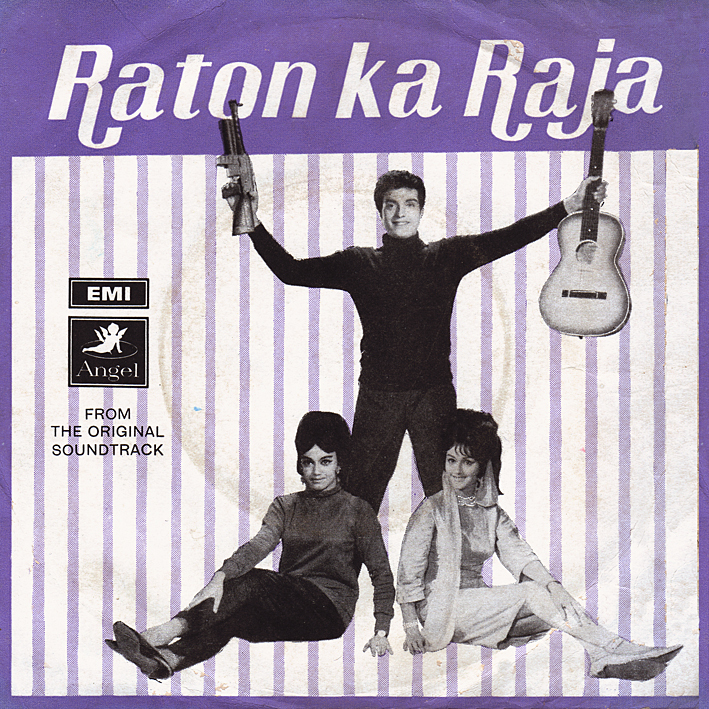 You've watered the seeds of my appreciation for early Bollywood and added much-needed spice to my life. We need more people like you. Keep it up and Merry Christmas! In the movie itself; could be. And possibly also digitally released in retrospect. It's only the 4 tracks on the EP though, and to the best of my knowledge, no LP was released at the time. It's not that I have a problem with some records actually being extremely rare and hard to find, and that collectors are thus willing to pay high sums for them. What annoys me is when sellers latch onto (real or perceived) trends in the market and start listing items at ridiculously inflated and extortionate prices… even if nobody buys them (which I hope to all that is sane they don't), it creates and perpetuates a myth that these records are less accessible than they in fact are. And re: prices on eBay...ARGHH. These people are delusional. It's the same for old tattered film gossip magazines--they think they can sell them for hundreds of dollars. I guess if they do, more power to them. But my guess is that they are mostly sitting on them and paying eBay to list them. I run into the same attitude constantly in India: they see my white skin and inflate prices ridiculously because "you can afford it." I get great pleasure in walking away from those people, especially when they run after me slashing the price ridiculously. At that point I just don't even want whatever they are selling any more. Thank you so much PC ! You have inspired me to rip up my own collection and post it online. Merry Christmas bro. Secondly, not sure how, the EP itself has truncated songs at the wrong pace! These songs are not these slow!! And there are songs missing as others have pointed!!! The thing is, Stephen, I don't actually do 'reviews', I simply jot down whatever comes to mind whilst playing the records. Sometimes this results in what may seem as well-considered commentary; very often it doesn't. Or shouldn't. I'm not even sure there's that much purpose to my writing other than as notes-to-self...if there is, it would simply be to pique the readers' curiosity enough for them to download the records. And then make up their own minds. I am not, and would never want to be, a music critic. Thanks for the extra track and alt. versions. May I ask what your source is? Because if they're from latter day CDs, and unless they're official releases, I'm not altogether convinced the speed on your versions is more correct than on the original EPs. The first time I heard these songs were in 2000 or 2001 I think, when I got it from hamaracd.com (which is by HMV's SaReGaMa), but I ended up scratching that CD. The ones I uploaded are purchased from emusic.com, and both my CD version and these mp3 versions are of the same length, except for one song on the CD which was abruptly truncated. thanks so much for this great upload and the many others. Thanks to you PC i played Yeh Jhalak Yeh Jhalak last week on WRIR independent radio here in richmond va. and yes, what anonymous said at the beginning goes for me too.. thank you..
and also what Harshi said... skip the middle man.. go to india! Ace :) Glad to hear that some of this is being broadcast. R.D.Burman is one of my most favorite music director ever. I just love all the songs composed by him. 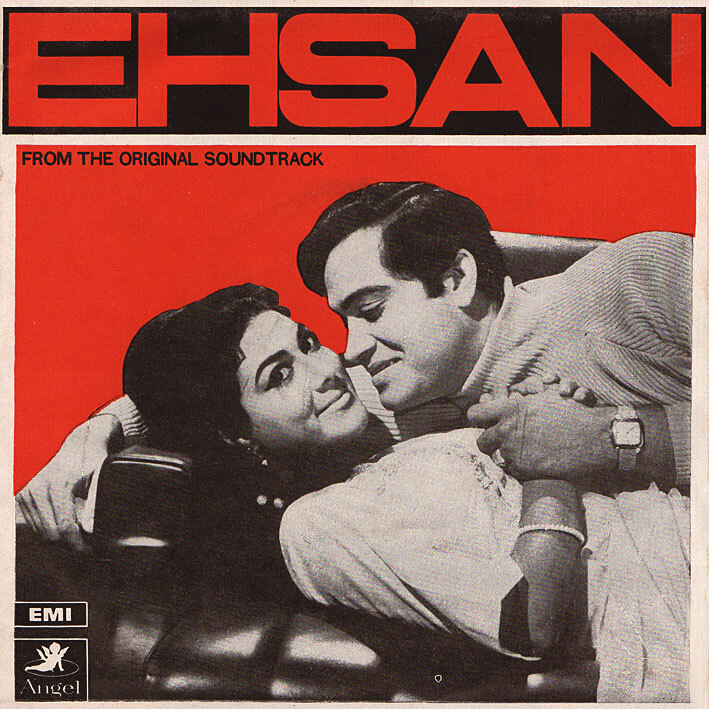 Ehsan is also one of my favorites, though i don't have all the songs from this album. But i have three of them. My most favorite is Pyasa Mera Dil because it was a shock for me that a Helen song which is composed by R.D.Burman and sung by Lata Mangeshkar not Asha Bhosle. But it was composed so nicely and Helen did justice to it. Well Helen never disappoint. Can you please inform me about the song 'Yeh Jhalak Yeh Jhalak', that it is pictured on whom?